“[Michelle] was always repeating to us ‘We’re creating a safe space where dangerous things can happen, not a dangerous space where safe things can happen,’” said Paskalidis. While spending an evening dwelling on the themes of child murder, infidelity and domestic violence probably isn’t anyone’s idea of a light-hearted time, UBC Theatre encourages the audience to consider these difficult topics with their production of Lion in the Streets. Set in 1990s Ontario, the play comprises eight vignettes where different characters are either experiencing or reliving intense moments of their life. What connects these seemingly unrelated scenes is the ghost of nine-year-old Isobel (Sophia Paskalidis), who wanders through her old town, searching for her murderer. Lion has no reservations about bringing marginalized characters to the forefront. Playwright Judith Thompson designed a play where one of the very few creative liberties that could be taken was to ensure that the main character would be considered an ethnic minority. 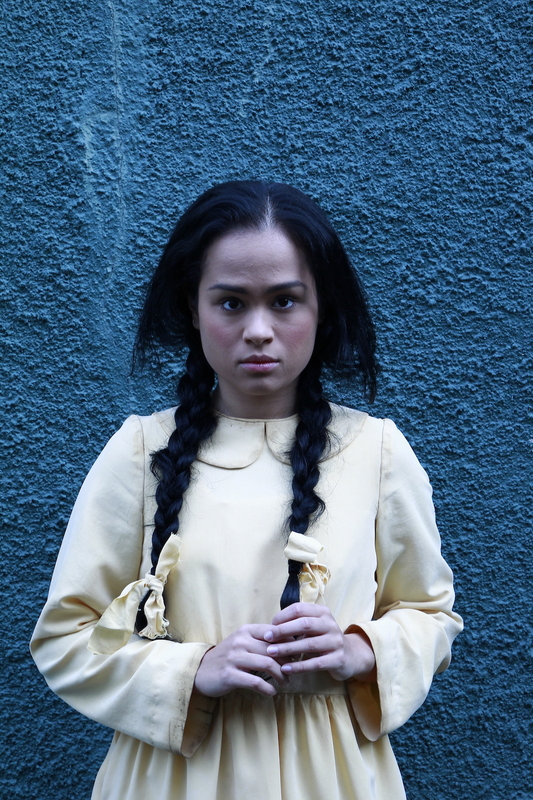 Although Isobel is Portuguese in the original script, director Michelle Thorne decided to change her ethnicity to Filipino in order to reflect Paskalidis’s heritage. Thompson mentions in the preface of the play that Isobel can be portrayed as any ethnicity, as long as she is an other. “Capital ‘O’ other,” explained lighting director Rachel Shaen. Lion places a strong emphasis on making the audience aware of this “otherness.” It expects viewers to leave having acknowledged and recognized the similarities between themselves and those seemingly obscured by this “otherness.” It brings to light marginalized groups whose issues are often overlooked and tries to evoke compassion. “I really want the audience to understand that within this fantastical stylized abstract world, these are real people, real voices of real humans,” added Thorne. 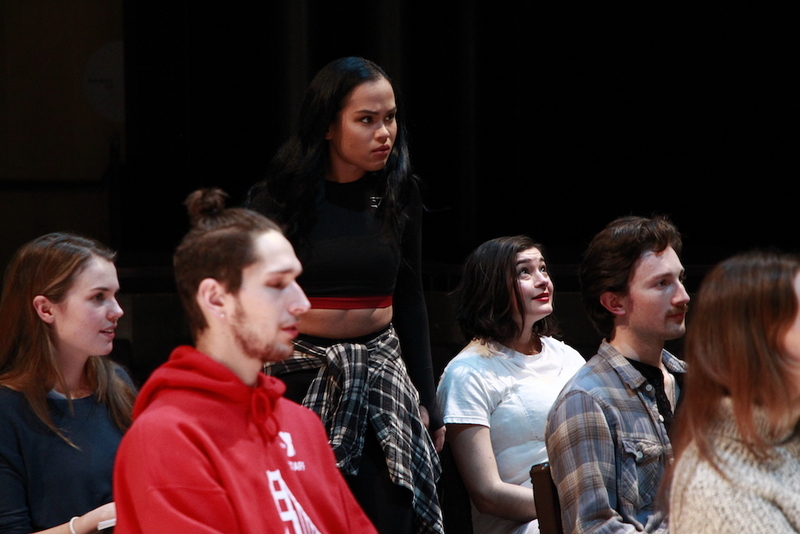 The play also asks the audience to consider atrocities linked directly with Canada, instead of merely comparing themselves to the US and absolving themselves of guilt. 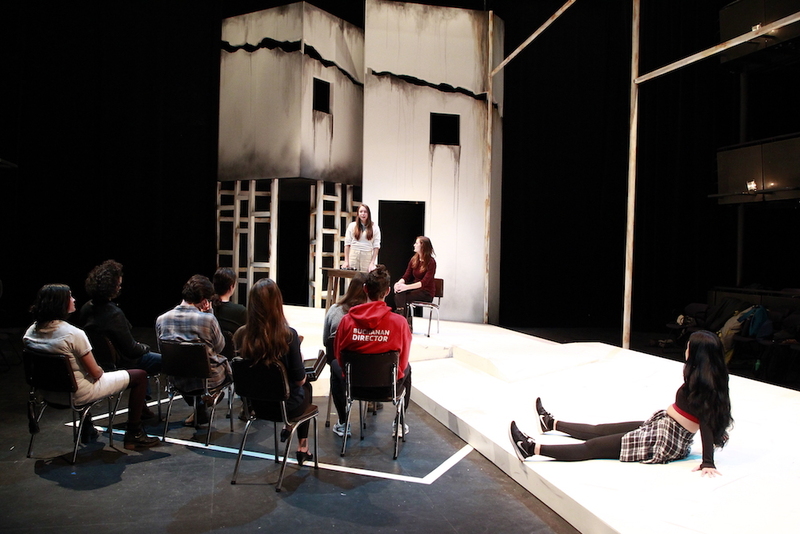 Due to regulations in the Department of Theatre and Film, Thorne was only allowed to cast UBC BFA acting students in their third or fourth year for this production, all of whom are able-bodied performers. To overcome this obstacle, Thorne reached out to Theatre Terrific, a local group that supports artists of all abilities in creating provocative theatre. She was put in touch with Leanne Crow and Willow Eady, who agreed to come on board as cultural consultants for the production. “Every single time that we rehearsed the scene involving Scarlett and Christine, both of these women with cerebral palsy were a part of the rehearsal process,” said Thorne. “The vocal inflection that the actress Elizabeth Young — who is playing the character of Scarlett — employs are directly taken from Leanne Crow’s own voice and how cerebral palsy affects her voice. And Lion’s symbolism extends past its title. 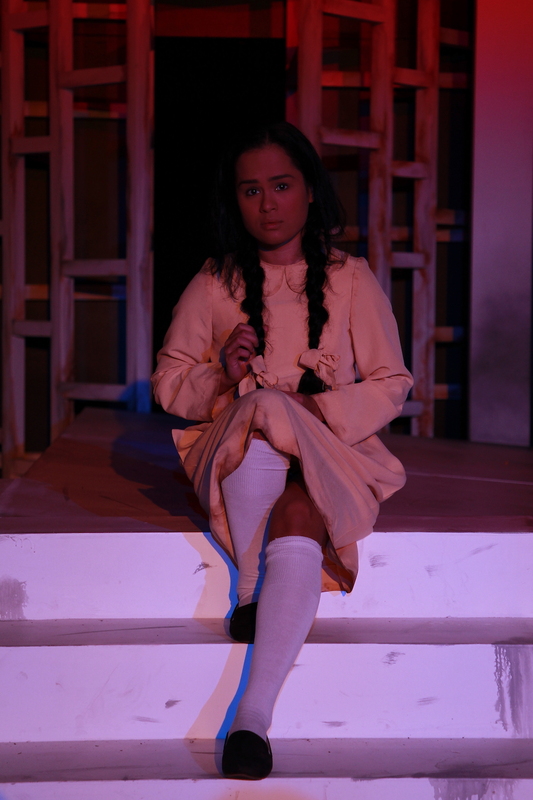 The production also uses technical and creative elements which convey their own messages throughout the play. The use of lighting is a large feature in the play, one that may often go unnoticed but enhances the themes and atmosphere. 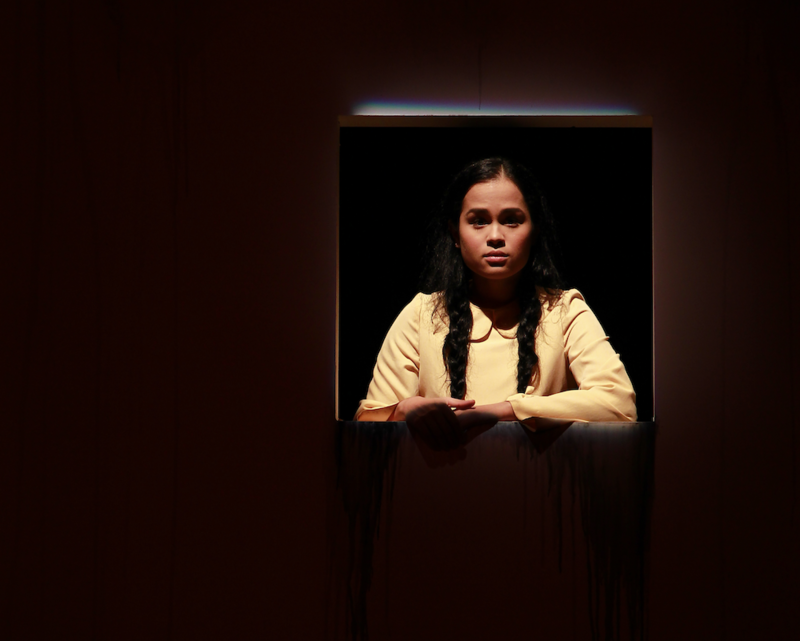 “I’m trying to make the lighting design very beautiful, but very unsettling,” said Shaen. The costuming also proved to be a large element in creating a sense of familiarity between the characters and the audience. Costume designer Alice Jiang explained that she dressed characters with an emphasis on being relatable to the audience. Even though the show is set in the 90s, the costumes were not made to look like the exaggerated fashion often depicted on screen, but a sincerer portrayal of the everyday individual living in that decade. Lion plays with the idea of putting the audience at a place of privilege where they recognize the characters as “different people, but people that you’ve seen on the street probably every single day,” said Jiang. The all-women production team of Lion in the Streets, unfortunately, doesn’t reflect the real world. Thorne agreed, though she also mentioned that she’d only seen Lion produced once before — also by a woman. She wondered what it would be like to produce this play with a male director. That emphasis on support and care for others has been Thorne’s priority throughout this production. For the actors and crew, the director implemented a self-care table with items that bring comfort — essential oils, adult colouring books and a Buddha. For the audience, it’s a little bit more difficult to develop this trust and communication. There will be trigger warnings on the doors of the theatre, and Thorne asserts that if an audience member has concerns, they are more than welcome to come find any member of the production team and have a conversation. Despite this, Thorne hopes that the intensity of subject matter doesn’t stop people from coming to see the play. The cast echoed these sentiments. Lion in the Streets will be performed at the Telus Studio Theatre between January 16 to February 2. Student tickets are available online.